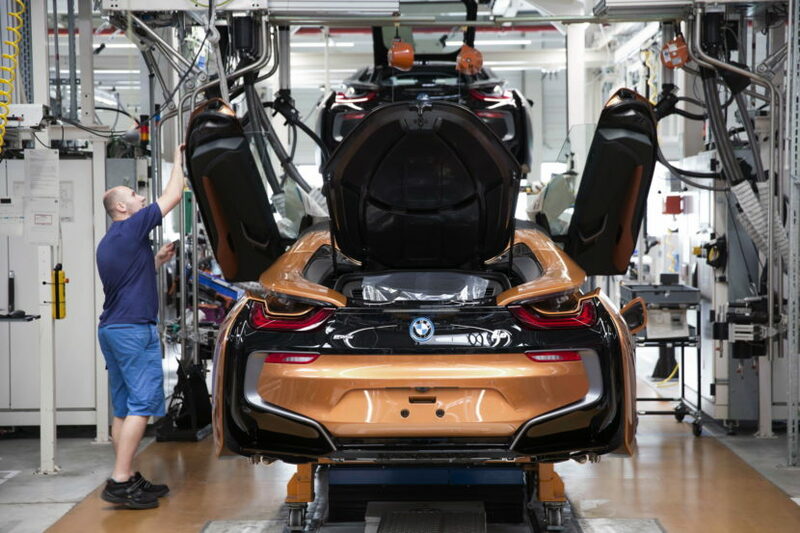 The BMW Group Leipzig plant starts the series production of the BMW i8 Roadster which will be launched parallel to the facelift version of the BMW i8 Coupe. 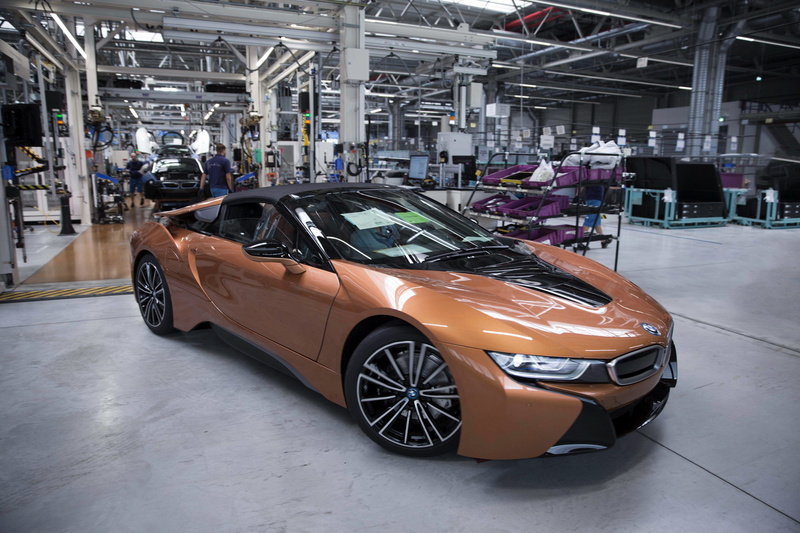 The copper color of the i8 Roadster is reminiscent of the paint of the concept car and will likely be chosen by many customers of the revised coupe, as it ensures a clear demarcation from the pre-facelift models. In contrast to the coupe, the new BMW i8 Roadster is a pure two-seater, the space for the back seat is used for the roof mechanism. 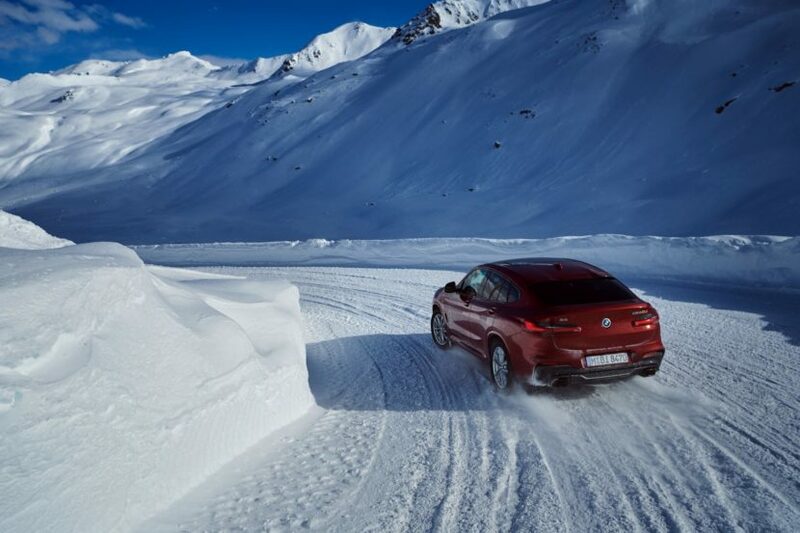 The soft top opens and closes at the push of a button within 15 seconds, at speeds up to 50 km/h even while driving. A retractable rear window can be operated independently of the fabric roof and also serves as a windbreak when the hood is open. Like the passenger compartment, the wing doors of the Roadster are made of carbon, which remains concealed under the painted aluminum outer skin. 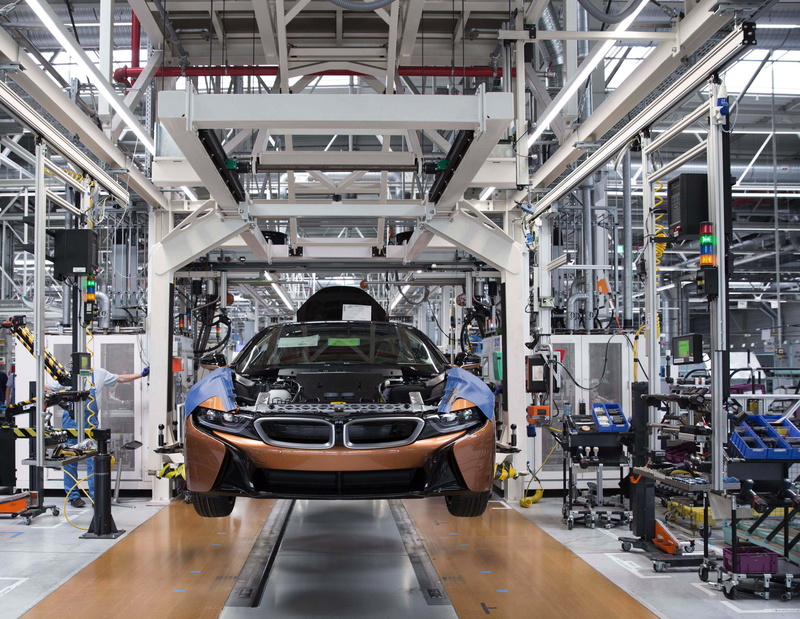 The basis for the electric driving experience is the new version of the lithium-ion battery developed for the BMW i8. The high-voltage battery located centrally in the subfloor has a battery capacity increased from 20 to 34 Ah and a gross energy content increased from 7.1 to 11.6 kWh (net energy content: 9.4 kWh). The electric range in the test cycle NEDC on the new BMW i8 Coupe rises to 55 kilometers, the new BMW i8 Roadster comes to 53 kilometers. Since its launch in 2014, the BMW i8 has been the world’s best-selling plug-in hybrid sports car. Since 2013, the BMW i production in Leipzig has also produced the BMW i3 and since 2017 the sport version of the BMW i3s. A total of 130 BMW i models in Leipzig run off the line every day. The market launch of the BMW i8 Coupe and BMW i8 Roadster will start in May 2018.